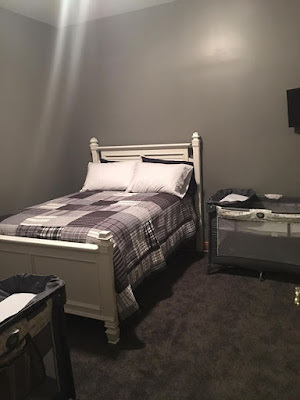 Recently we did some remodeling and created a nursery/guestroom. So what better to put on the walls but picture of the boys? 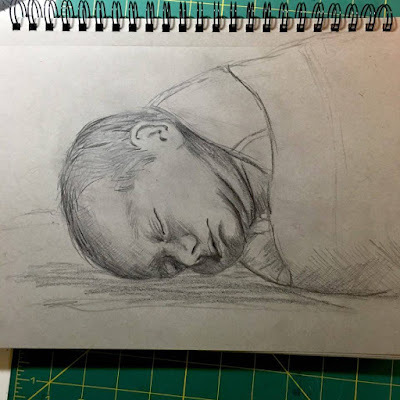 About a week ago I took a photo and sketched my new Grandson, Grady. He is just one of the sweetest little babies ever. He was so teeny. Born early, and less than five pounds, but man... he is just perfect to me! So a week passed and I hadn't sketched the other twin!?!? How dare I?? A new Nana, showing favorites???? Impossible! 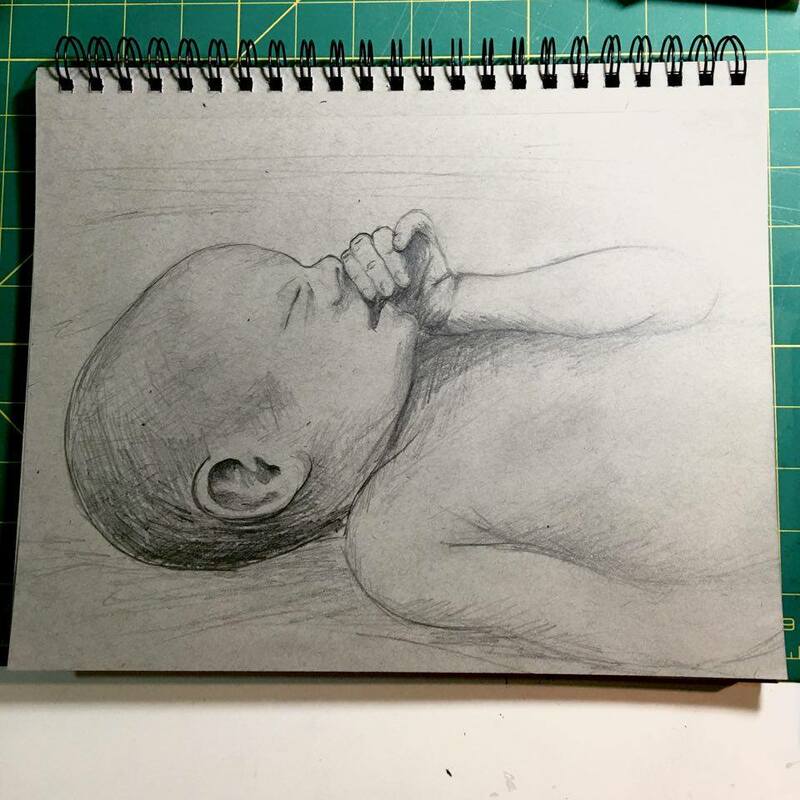 So last night I sketched twin #2. 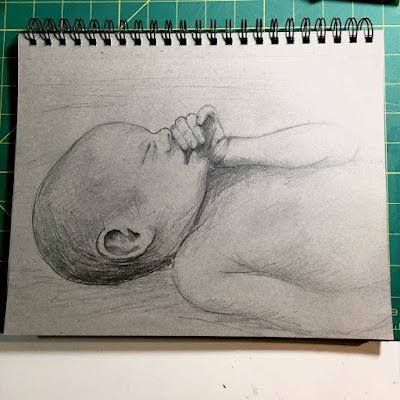 We are taking the new momma and daddy out for dinner tonight, so I hope to be able to get prints made of these today, and frame them. I'll keep the set of prints, and give the framed originals to the kids tonight. Awwwwwww, this is such a fabulous post!!! As a twin myself I just adore your grandbabies. Great job on the sketches and the new room.